Three WikiLeaks journalists are facing charges of espionage and conspiracy after Google turned over their confidential data to the U.S. government, WikiLeaks announced on its site Monday morning. The whistleblower organization now wants an explanation from both Google and the Justice Department. “The US government is claiming universal jurisdiction to apply the Espionage Act, general Conspiracy statute and the Computer Fraud and Abuse Act to journalists and publishers – a horrifying precedent for press freedoms around the world,” WikiLeaks posted on its website. 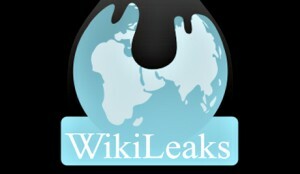 WikiLeaks alleges the warrants violated the Privacy Protection ACt of 1980, “which protects journalists and publishers from being forced to turn over to law enforcement their journalistic work product and documentary materials,” the letter from WikiLeaks attorneys read. Posted: 1/26/15 at 8:36 AM under News Story.